THE TAKEAWAY: Play, and its cousins Imagination & Creativity, are a natural part of life at any age. Play allows us to explore outside of our routines and free up the places where we feel stuck. 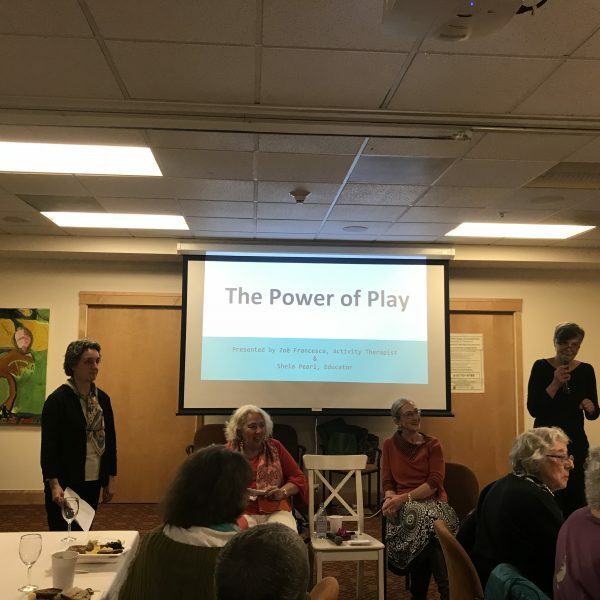 Join us for a look at Play in the lives of older adults, and get inspired by contemporary and historical role models who know the value of Play! Zoë Francesca, MFA, Activity Therapist, believes we never lose our potential for self expression and connection. She works with older adults with and without memory loss, using art, music, literature and nature to engage the spirit, the intellect and the whole person. Shela Pearl worked as an educator in NYC for over 40 years and was a recipient of the National Endowment for the Humanities’ Teacher of The Year award. 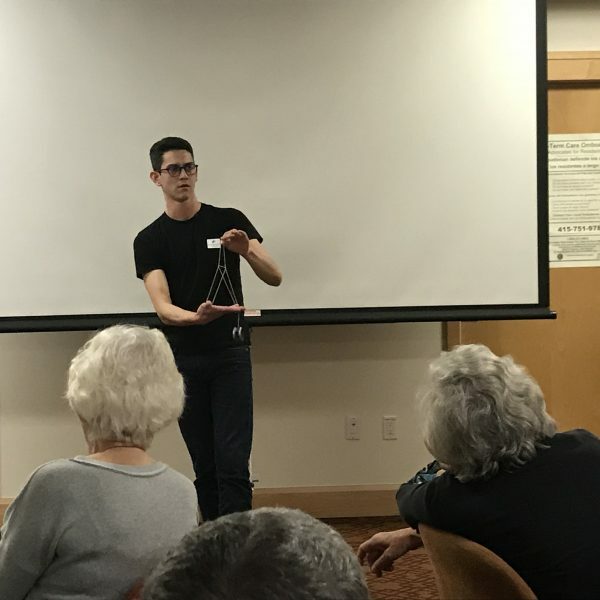 She directed a high school English department, studied with Shakespeare & Co Theater, and co-led conversation groups at The Atria, a senior living community. Ernest Kahn is an industrial designer, skateboarder, and yoyo champion. We would like to thank our sponsors, Rhoda Goldman Plaza and the Stupski Foundation, and our dedicated volunteers for making this event possible. Here are a few snapshots from the wonderful evening.